A lesser known strain of marijuana is this Sativa dominant marijuana. A solid mix of 80% Sativa and 20% Indica it is a smooth blend of Blueberry and Super Silver Haze. It’s nugs are bushy and covered in golden hairs and lush green leaves with an ample layer of frosty crystals. Think forrest bed on an icy winter morning. As you may have guessed the flavours are earthy and berry, and like the overall experience of this strain, they aren’t too overpowering. That said, Blue Melon is a nice smoke for newcomers to the benefits of cannabis as it won’t blow your mind but it will give you all the positive elements that both the Super Silver Haze and Blueberry strains provide. The general vibe to this particular blend throughout the body is of cool headed control. THC levels are moderate, coming in at between 16% – 20%. 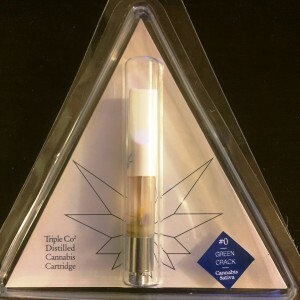 This makes for a controllable, upbeat and euphoric high without any of the drag or feelings of fatigue linked to Indica strains. It enables smokers to function easily throughout the day and can certainly be enjoyed outside as well as in. 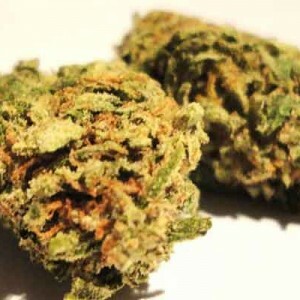 A great relaxant and easy nature high this strain of cannabis is mainly used for anxiety, nausea, muscle spasms and relief from chronic pains are all medical attributes of this cannabis strain. With a flowering time of between 8- 9 weeks this is one for gardeners of intermediate skill. It can be grown outside or indoors and produces a moderate yield. Perfect for those wanting to test there talents. Buy High Quality and Original Blue Melon (Sativa) Strain Weed online at Marijuana Floor.